Jibbitz can be worn on the strap, yeah! Although the Crocs Bistro has been designed especially for those in the food industry, it is actually suitable for loads of different professions & uses, so you don't have to be tied to the kitchen sink to wear them! Wow, that's a lot of benefits from one pair of shoes, that's why we have given them the jellyegg seal of approval, we are wearing them too and we love'em, we may not be chefs, but we do make lot's of tea & coffee, if that counts......! 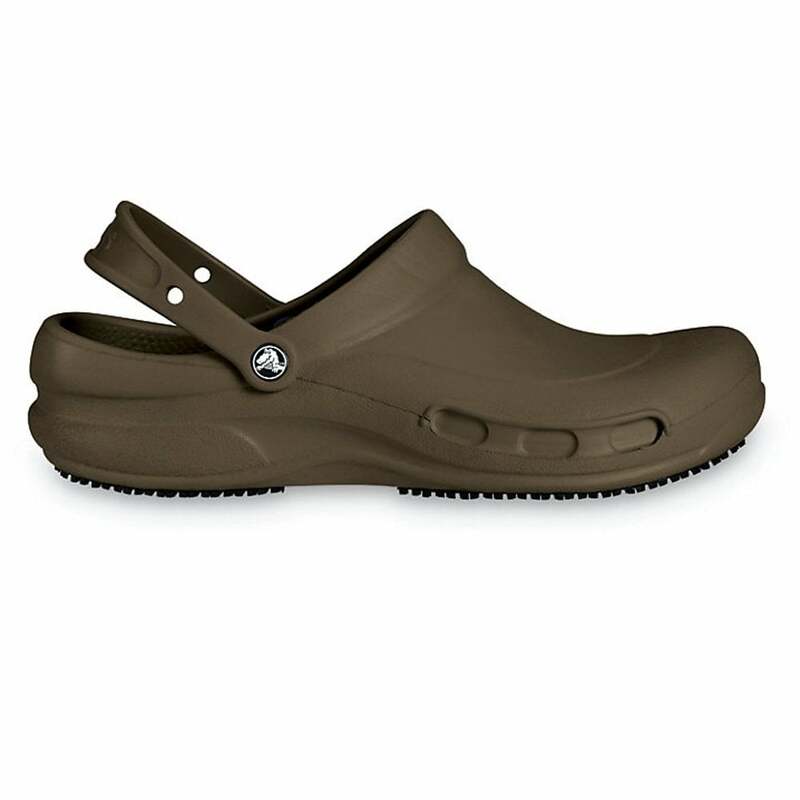 If you're a fan of the Crocs Work Shoes you're sure to want to browse the Crocs Clogs too.